Bill Dougherty, M.D., (’60) and his wife Sharon are enjoying their retirement, splitting their time between Moline, Ill. and Naples, Fla. Together, the couple has six children and more than 20 grandchildren. Dougherty spent over 30 years as an orthopedic surgeon at his private practice in Moline before retiring on Jan. 1, 2004. Bill’s journey to success, however, began at Loras. Dougherty’s father owned a small welding and repair shop. He was able to come to Loras thanks to the financial assistance he received. “I was given scholarships and campus jobs at Loras without which I couldn’t have attended college. I decided that someday I would repay my debt and help someone else,” he said. Dougherty graduated from Loras in 1960, only three years after entering, and went directly to medical school at the University of Iowa to continue his education. He received his M.D. in 1963 and completed his residency in 1968. Then, from 1968-2003, he operated his own practice. Reflecting back on his life, and especially time as a student, he’s grateful for all Loras did for him. Now, he repays what he feels is a debt to Loras through his support of scholarships, awards, capital improvements, student conferences and the Inspiring Lives & Leadership campaign. “I really consider it an obligation and a privilege,” Dougherty said about his inspiration to give. Loras provided him with an education in the classroom and lessons to carry through life. “I learned how to study, prepare well and stay focused on the end result. I found you can’t shift responsibility for your actions and their result. In addition to giving you the tools for success, [Loras] gives you a moral perspective for your professional and daily life.” Dougherty helps provide these sorts of opportunities for growth to Loras students. Not only does his support provide scholarships and awards, but it also opens the possibility for students to attend events like conferences or performances. “Exposing students to ideas and people from different backgrounds vastly expands their horizons.  Presenting a paper or performing is a great experience.” The support of Dougherty and others aligns with and enables execution of the College’s Strategic Plan Vision for 2020, which emphasizes these types of experiences. As a medical professional, Dougherty is enthusiastic about supporting students who share his passion. Recently, he helped sponsor improvements to the St. Joseph Hall of Science. The College was able to upgrade the main electrical circuit box and install updated LED lighting, which has cut the building’s electrical utility costs in half. These improvements foster and enable the learning experiences of pre-med and other STEM (science, technology, engineering and mathematics) students at Loras. The College is grateful to Bill and Sharon for their many contributions, as are the students whom they aid. Such dedication allows Loras to continue its vision and mission for the benefit of its students, now and in the future. 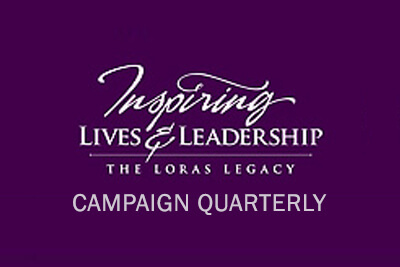 If you would like more information or to provide your support, please contact Josh Boots (’04), associate vice president for institutional advancement, at 563.588.7329 or by email at joshua.boots@loras.edu.